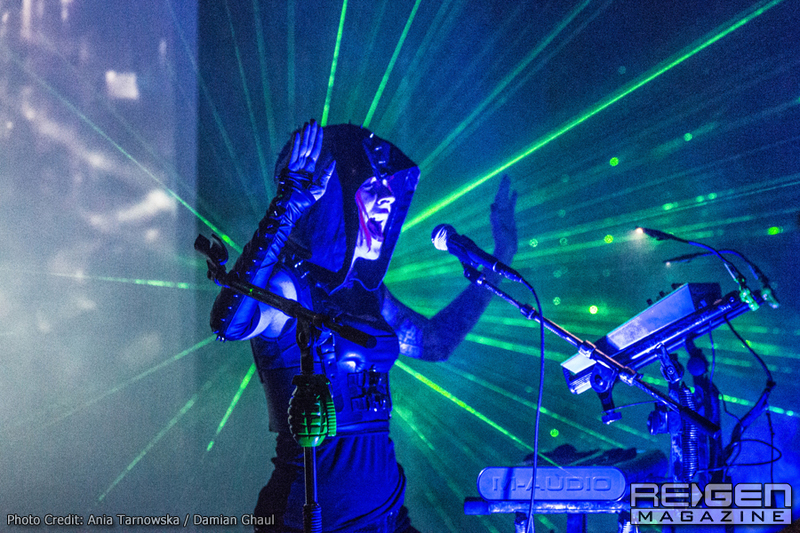 I Ya Toyah is a one-woman electronic army hailing from Chicago by way of Poland. She released her debut full-length record in October, titled Code Blue, a testament of mental wellness and illness and the culmination of a painful but therapeutic personal journey. 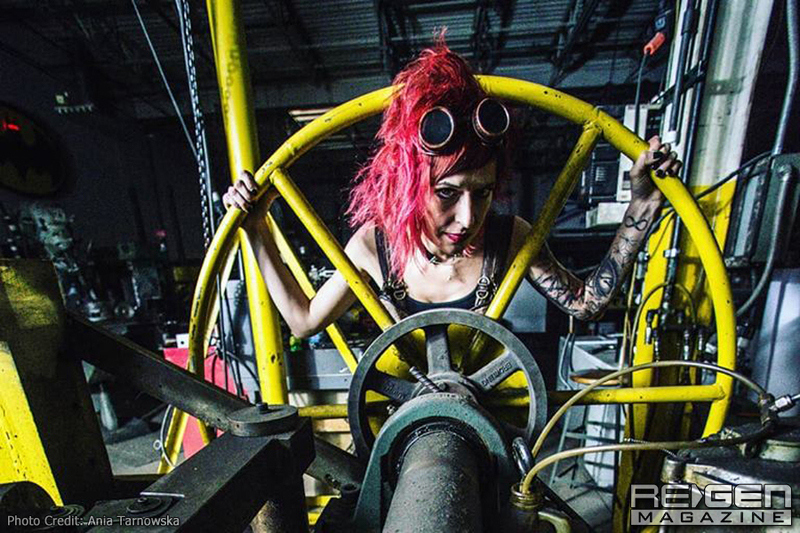 She’s preparing to head out for a series of select dates with Minnesota’s Zwaremachine, in addition to opening for Mortiis at The Forge in Joliet on April 2. So what’s behind the project that has accomplished so much in such a short time? In a special contribution to ReGen Magazine, William Zimmerman speaks to the artist to give us some answers. Hello and thanks for answering our interview. Could you please give us the meaning behind the name I Ya Toyah and some background of the project? I Ya Toyah: Hey, thank you for having me. So, I Ya Toyah, when spoken out loud, in Polish – my native language – means ‘It’s just me.’ And, it makes perfect sense as I’m a one-woman army, musically. I decided to go solo after working in different metal, punk/rock, jazz, industrial/rock bands and other projects throughout the years. I learned that in a group of musicians working together, you need to be extremely lucky to meet people with similar focus, drive, and passion. Being a musician isn’t easy. You need to devote your time, energy, money to build your presence while trying to keep up with regular life’s responsibilities. I’ve always said that music is the toughest lover – it keeps taking and consuming everything you have, but… for those truly passionate and driven, it gives back much more in return. Most people, however, aren’t suited to go for it. I found myself a lonely fighter, carrying the projects I’ve been in on my own shoulders, only to learn that they, sooner or later, collapse regardless. I figured I need to change this cycle. I needed to come up with the new idea if I want to continue doing this, and I felt I was able to do it if I study and learn some things. I then built the plan everyone around me called ‘mission impossible.’ But I stuck to it and wrote and produced my Code Blue album at home, recorded it on my own in my room studio, and now it’s out, and I can’t wait to make a next one. The background of I Ya Toyah is therefore just a story of unstoppable passion and inner drive, and proof that if you truly want something, you can do it, against all odds. How have your musical influences changed throughout the course of your being a composer? I Ya Toyah: They are forever changing and shifting from one to another, but it’s more like the new ones come, old ones stay, and it all mixes together. I love music of any kind, as long as it touches me on a deeper mental and emotional level and makes me feel something. As a child, I grew with a lot of classical music since I was attending music academy. To balance it off, I listened to a lot of intense, dark, and heavy music and this stayed in me to this day. I love prog and symphonic metal music, the sound of distortion, gothic keyboards, emotional vocals, the vibration that comes from the speaker when you blast the sound out loud… but then, I’ve also listened to some soul and jazz, and these styles heavily influenced my singing styles and phrasing. 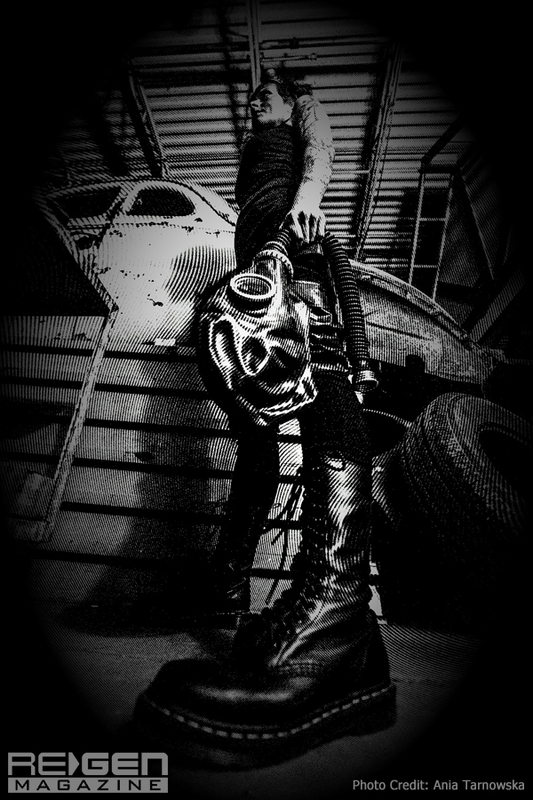 Industrial music and culture was always a part of my life as well. I come from Lodz, a Polish city that is known as the most post-industrial when it comes to architecture, history, and its resonance into the art and culture. When I arrived in Chicago in 2006, I learned that this musical style is a thing here and loved it instantly. Later, I discovered synthwave and witch house and it opened a whole other spectrum of sounds and compositional opportunities, messing with effects, etc. It’s all about having fun, letting influences shape you rather than take over you. The liner notes of the new album, Code Blue stress the importance of your mission of suicide prevention and mental illness. Why is this so important to the focus of I Ya Toyah? I Ya Toyah: Suicide touched me personally, and the mission to prevent it is a consequence of it. In 2013, my mom committed suicide, leaving me questioning a lot of things and seeing an invisible layer of human life I had not really noticed before. My mom was my best friend, and my not seeing her struggle opened my eyes and made me realize that the darkness we carry inside can get overwhelming and outgrow us if we don’t know how to manage it and share it with others to seek help. Suicide prevention is focusing on encouraging the conversation about mental health and on building awareness that spreads among people and make them realize that it’s okay not to be okay and we all aren’t sometimes – meaning, we are not alone in this. To me, telling my story is therapy for myself and my own darkness. There is forever a shadow behind my smile because of all that happened, but it is also a dark, emotionally heavy tale I’m sharing with others to let them know how devastating suicide can be for those we leave behind, and how important it is to reach out and find the cure to stay alive for yourself and those you love. Could you speak for a moment about some of the tracks on Code Blue? I Ya Toyah: With pleasure. ‘Code Blue,’ the first song on the album talks about darkness and giving up from the perspective of the suicidal mind of a person who no longer has the will to live. It’s a statement summing up all the lifelong withdrawals of love and shadow taking over. 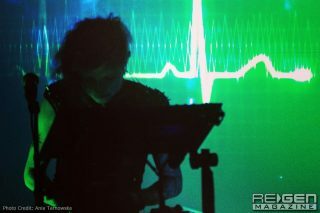 The sound of flatline and electrocardiogram beeps bring the sound to the hospital room, where the team of doctors tries to keep the person alive when all the person wants is to die. All 10 songs on my album talk about mental health, social distortions, control, power, and embracing the challenges that the world throws at us. ‘Rebel’ is the song encouraging the fight; it talks about inevitable fall, indifference in those around us, and rising together to change that stigma. ‘Glass Eyes’ is the most experimental track and it talks about mental breakdown as the result of a chain reaction – like with anything, if we ignore the first signs of something going wrong, it will continue growing to eventually win. 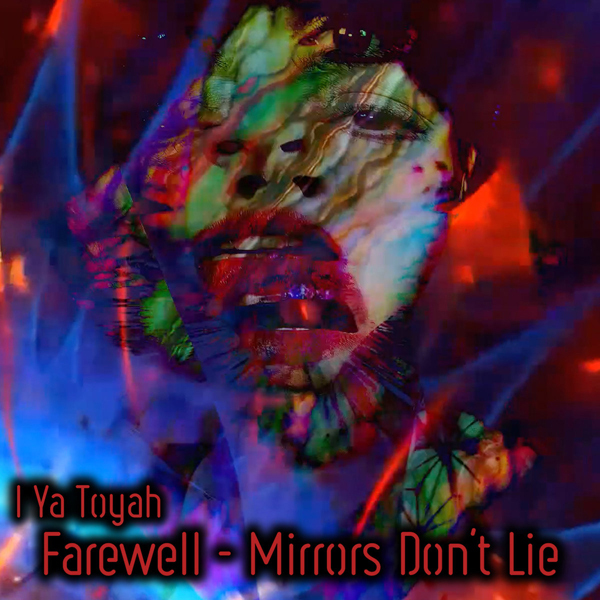 My personal favorites are ‘Farewell-Mirrors Don’t Lie,’ and ‘Give Me More Lies.’ Both of them are very personal to me and they carry very strong messages I hope get to my audience. You have some local and national organizations close to your heart. Could you discuss these for a moment? I Ya Toyah: One of the organizations I actively work with is AFSP – American Foundation For Suicide Prevention. I am now a field advocate with them. AFSP focuses on improving the lives of Americans from a mental health perspective, suicide prevention, approaching and understanding it better, and establishing better laws that supports these needs, such as national suicide hotline and text lines in many needed languages, encouragement to ask for help followed by the contact info, and an endless list of other amazing work I’m proud to support and be a part of forever. AFSP has chapters all over the country and they all belong to the main national chapter. Hope For the Day is another organization I love – it is based in Chicago. Those guys spread the ‘It’s okay not to be okay’ message and organize workshops and seminars where people can learn more about suicide prevention. They host a lot of annual events and are constantly working on stopping the stigma. On a different angle, there is the No Dogs Left Behind Organization and also The Animal Hope and Wellness Foundation. Both fight hard to save abused and tortured dogs in China and Korea and focus on stopping the annual dog meat festival in Yulin, a source of endless cruelty. These guys have sanctuaries there, save the dogs, restore them (they have legs cut off, often are partially skinned, etc. ), and fly them to adoption centers here in U.S. Both organizations work hard to change the culture that supports animal torture and I’m actively supporting them through my own dog Benek (@Benek_the_dog on Instagram) who is the face and speaker (barker) for those organizations and animal rights. You are the sole composer and performer for the project. Can you describe what an I Ya Toyah show is like? I Ya Toyah: The I Ya Toyah live show is a one-woman performance. I play keyboards, guitars, and use loopers and controllers to trigger sounds. Of course, I sing as well. I also run my own lights and visuals during the show. I always want my performance to resonate with my audience so that everyone who attends my show becomes an integral part of it, and later when home, still feels the energy of the night under their skin. I’m a passionate performer and I get lost within when onstage. The energy flow happening during live shows is intoxicating to me. It’s my drug. You have a very interesting fusion of sounds. What do you use for hardware and software in your studio? I Ya Toyah: Thank you! I use simple things to write and record, and then play with the sounds, tweaking and shaping them ’til they are what I want. My DAW is Logic Pro X, and I use a Presonus FireStudio interface for recording and production (Scarlett Focusrite for live show production), an Axiom controller, a Yamaha piano, a Roland synth, and Epiphone and Ibanez guitars, plus an endless amount of plug-ins – a virtual library of sounds and vintage synths. I also record sounds foley style; for example, I noticed once that the sound of the pot cover in the kitchen, when rested on the side, makes this very creepy dark sound before it finally settles. I recorded it and later applied it to ‘Rebel’ as part of the beat. I never limit myself to anything when creating, and perhaps this why I’m having so much fun doing it. I Ya Toyah: Sure thing! It’s mostly old stuff of mine that I wrote awhile back but isn’t part of what I currently do. I wrote ‘Fields of Emptiness’ back in 2015 and it was my response to the paranoia of every day… the ‘keep smiling’ culture, the lack of real human touch and connection in society, loneliness in crowds, the lack of ability to express love and emotion. The song and video were a collaborative project, both musically and visually. ‘My Confession’ is, as the title says, an admission of a guilt. I wrote and recorded it acoustically at home, and it was a need of heart at the moment, something I did to apologize to someone I hurt unintentionally. ‘Funeral For Love’ is the only song of those mentioned that I’ve released with my current distributor Amuse. I originally wrote/recorded it at home before the making of the Code Blue album, back in February 2017, but it is now a part of my live performance and it will also appear on the Code Blue Remixed album that will be coming out mid 2019 – ‘Funeral For Love’ will be one of the bonus tracks on that record. 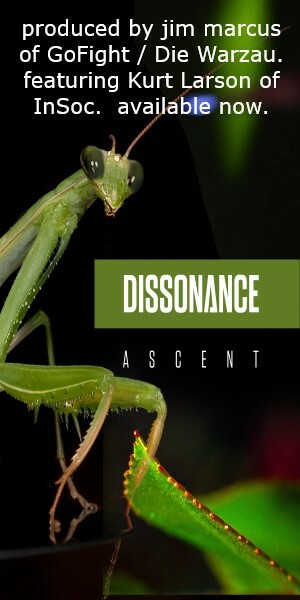 What do you cite for non-musical influences? I Ya Toyah: Love. Pain. Nature. Philosophy. Emotion. Observation. Life. You were born in Poland but have lived in the states for a while now. What drew you here and what keeps you? I Ya Toyah: My parents moved here in search of a better life in the early 2000s. They’d left their life and started from scratch here in the U.S. I’ve followed, travelling back and forth as I had to complete my schooling. When I came to stay, I immediately sank in as I met amazing people and found myself feeling at home. It was not easy. I had to build life on new, unknown territory – all immigrants know the taste of working the toughest, dirtiest jobs for a small buck, sleeping 2-3 hours a night to keep working to save money, living in small basements ’til you can afford a regular room with a window or two, hitchhiking and/or walking instead of driving ’til you can slowly afford it. In a couple year’s period, I began my naturalization process to become a citizen; went to school here to get a U.S. degree to better my future. I still miss Europe. Every time I visit, I feel like home there as well, but I guess it’s true what they say: ‘home is where the heart is.’ I guess my heart is scattered around the globe. What plans do you have for 2019? Collaborations, releases, tours? 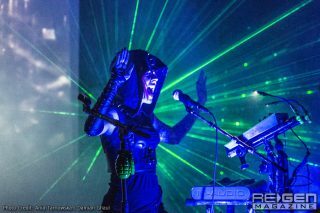 I Ya Toyah: 2019 is going to be intense and full of activity. 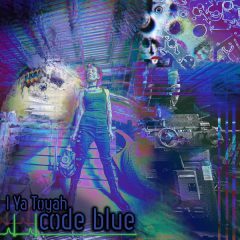 First thing is the release of Code Blue Remixed – the album will come out mid 2019; the date is yet to be announced. Code Blue Remixed will feature different artists, both local and international, and I’m super excited for this project! 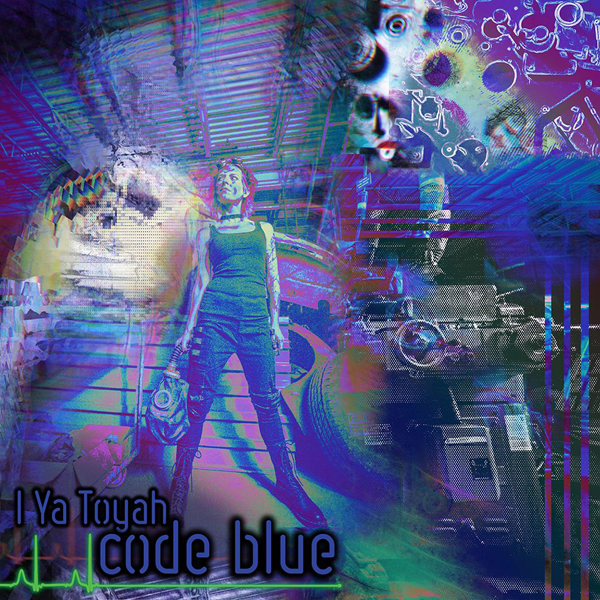 Each song on Code Blue will be remixed by an individual entity, and I have amazing talents on board for this, including Rhys Fulber (Conjure One, Front Line Assembly), Cyanotic, Xentrifuge, Adoration Destroyed, and many more. As far as collaborations go, I have a couple I’m not supposed to talk about just yet, but it’s very exciting stuff as well. 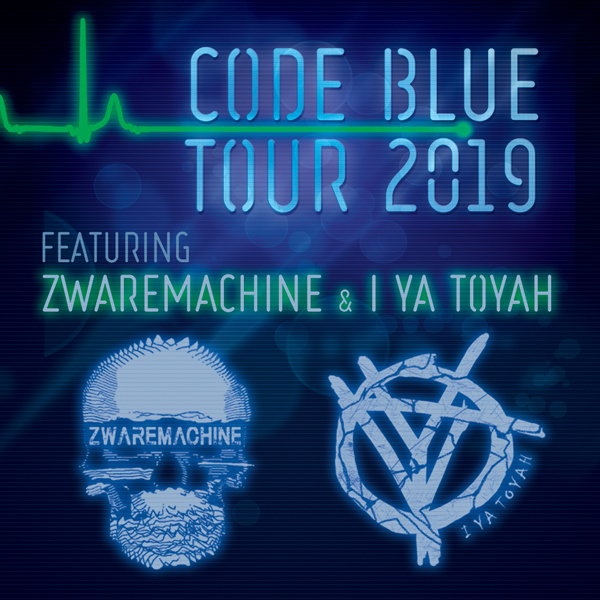 The Code Blue tour takes off in March, and the dates are shaping up very nicely around the Midwest and surrounding area. I have some show dates before that as well and planning more after all, starting in June. I’m also very excited to start writing the material for the second album – it’s one of my favorite things now, so I’ll definitely need to make some time for that, probably starting at some point in the second part of the year. Many, many years down the road, a very distant relative locates a box in the attic of an old home. In the box is an I Ya Toyah album. What do you wish this person to learn about your legacy simply from listening to this music? I Ya Toyah: I’d hope they get the message about suicide prevention and the understanding of our inner darkness as well as the power to embrace the social distortions causing it as they will always exist and we as humans will always need to find the strength for this fight. I also would love for them to, after listening to Code Blue and reading the lyrical content and the note included, learn that everything is possible. I hope my album shows that regardless of what they tell you, and what limits you are walled with, you can do anything you set your mind to, even the impossible. I hope Code Blue conveys this message, even many years from now, and inspires people to see opportunity in challenges and obstacles and make them want to step outside of their comfort zone and go for things they envision, regardless of the hardship and difficult circumstances.